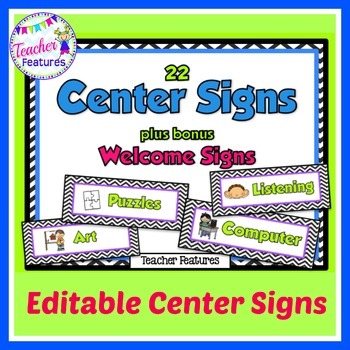 These center signs make managing your centers and stations really easy. 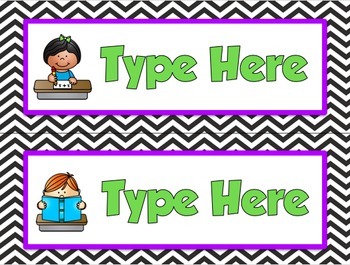 Included are 4 editable signs for typing out anything you wish. 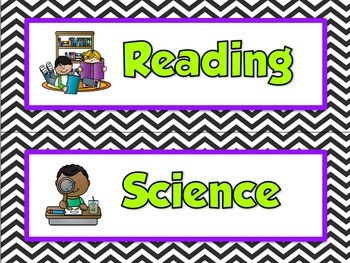 Perfect for PreK-2nd grade. 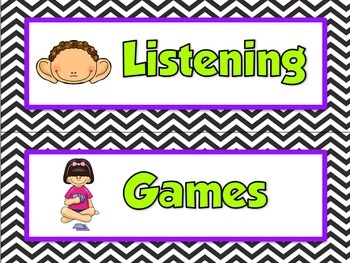 The adorable graphics are colorful and look wonderful with the black chevron pattern.